Eastgate was developed by Independent Enterprises. 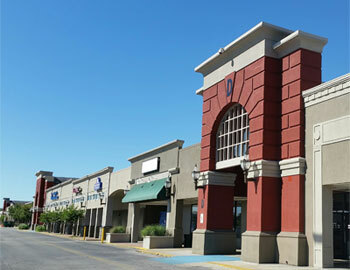 The open-air shopping venue was built on the site of a former drive-in theater, which was owned by Independent Enterprises. The complex was designed by Toombs, Amisano & Wells. 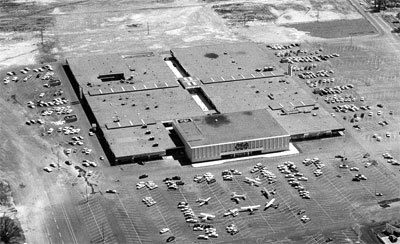 Originally known as Eastgate Center, it began construction in September 1961 and was completed in August 1962. At the time, the center was anchored by a 2 floor 60,000 square feet (5,600 m2) Miller Brothers store and had a Winn-Dixie grocery store, as well as a Morrison's Cafeteria location. A second construction phase, finished in 1965, added a single-screen cinema, and two more anchors: Loveman's and J.C. Penney. At the time, the total leasable square footage of the mall was some 550,000 square feet (51,000 m2), making it the largest shopping mall in Tennessee for a time. This was later followed by a food court, which included Baskin Robbins, Mr. Cookie, Glen Gene Deli, Chocolate Sunday, Chinese Combo King, and Cozzolis. 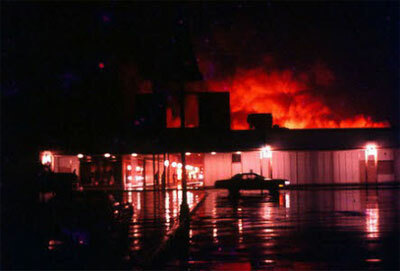 After a damaging fire in 1971 initiated a move to fully enclose the older shopping center, Eastgate Center would then be known as Eastgate Mall. Pineville Road. 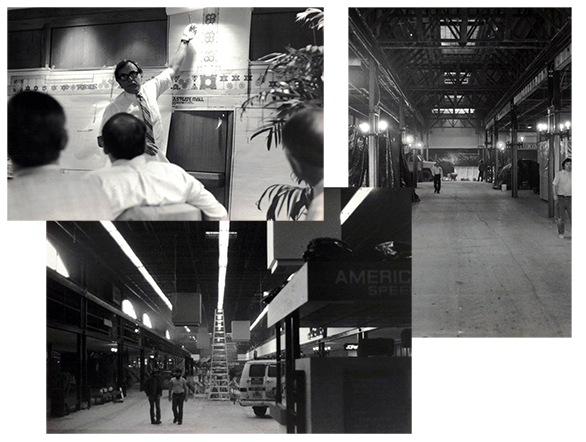 In the early 19870s, new designs were drawn up and the mall went under complete renovation. The enclosed areas had a new roof sytem added, HVAC systems were added, the fountain was built and added and many other improvements. 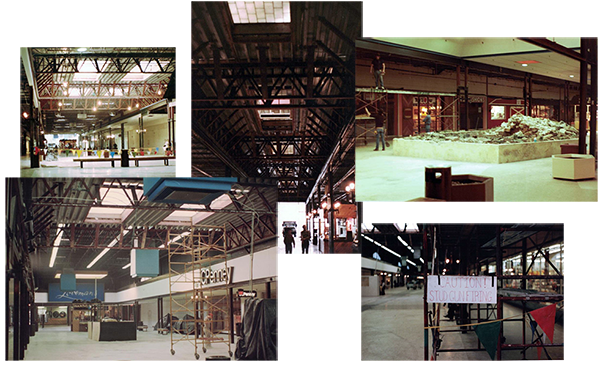 During the build out of the enclosed spaces, the mall stayed open and excitement was in the air. Work would progress even during the after hours times when the mall was closed. Things became fairly dusty during the construction phase as well as noisy. People would visit to shop and to watch the construction going on throughout the property, both inside and out. Once the reconstruction was complete, the mall flourished with activity. 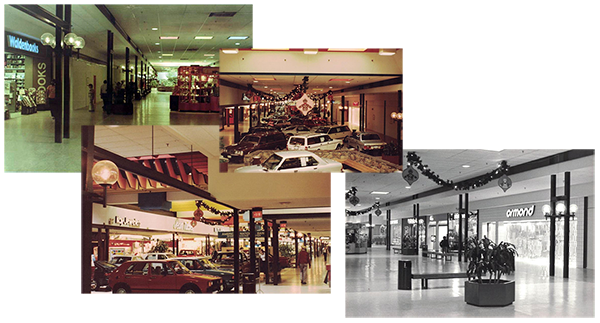 Christmas events and Car Shows would greet customers as they returned en masse to enjoy the continued growth of the modern day Mall. To see more photos of the 1971 era reconstruction, please visit our Facebook photo album by clicking here. 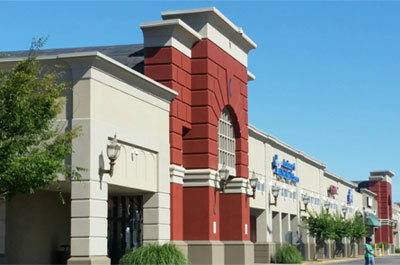 From circa 1990 to the present day, the Eastgate facility has undergone many changes, including a cosmetic restoration and a name change from Eastgate Mall to Eastgate Town Center. Though barely recognizeable from it's former self, Eastgate is still finding new ways to survive and thrive. In fact, since its last change of ownership in late 2005, Eastgate has gone through a major and extensive conversion to become a trendy town center once again. 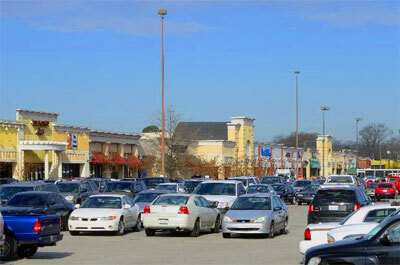 Eastgate is a mixed-use facility with some large offices being occupied by various entities of different sectors. Eastgate Town Center houses various agencies of the State of Tennessee, two satellite college campuses, a call center, as well as medical and insurance administration offices. 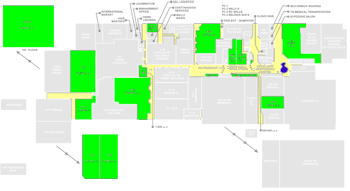 74% of Eastgate's space is currently occupied. Eastgate is located on Brainerd Road, a major artery connecting Westside and Eastside Chattanooga and can be accessed by Chattanooga Area Regional Transportation Authority (CARTA) bus route #4. This redevelopment has been touted as a success with many recognizable names such as Chattanooga State, ITT Technical Institute and many state agencies as tenants. The current plan for Eastgate is to develop it into a new "downtown" type streetscape and this plan is proving to be a great revitalization to the area as new business and old are seeing an increase in traffic.